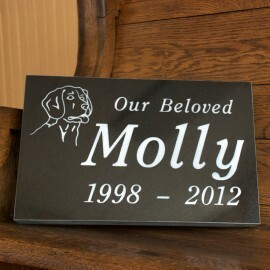 Pet Marker: Black Granite Size is: 10" x 6" x 2" Mayes Memorials, located in Centre County, PA, offers pet memorials crafted from natural granite, bluestone and black granite. 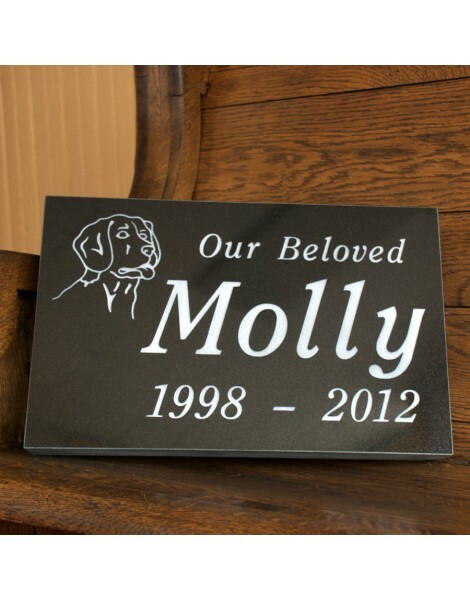 Pet Marker: Black Granite Size is: 12" x 8" x 2" Mayes Memorials, located in Centre County, PA, offers pet memorials crafted from natural granite, bluestone and black granite. Pet Marker: Black Granite Size is: 16" x 10" x 2" Mayes Memorials, located in Centre County, PA, offers pet memorials crafted from natural granite, bluestone and black granite.